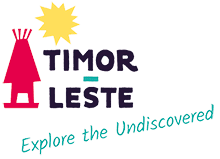 Of vital interest to bird watchers is Timor-Leste’s bio-geographically mixed bird life (Asian and Australian). There are more than 240 bird species, including at least 23 found nowhere else in the world. The very high diversity of bird species reflects Timor-Leste’s extremely wide range of habitats and geographic location. These unique bird species include relatively abundant numbers of the globally threatened Timor green pigeon, Timor imperial pigeon, yellow crested cockatoo, black cuckoo dove and the Timor sparrow. For further information and research on bird life visit Birdlife International.